Bright colors, images of performers and lots of shiny new instruments help to generate interest in joining this successful middle school band program. 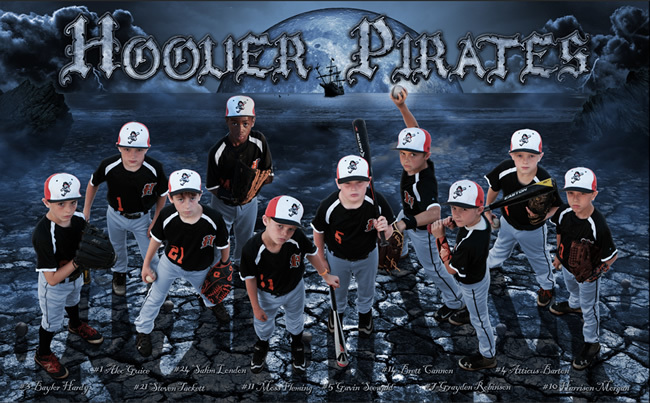 The third poster for this little league baseball team was one again a photo composite composition, this time featuring a spooky, moonlit night scene with pirate flair. 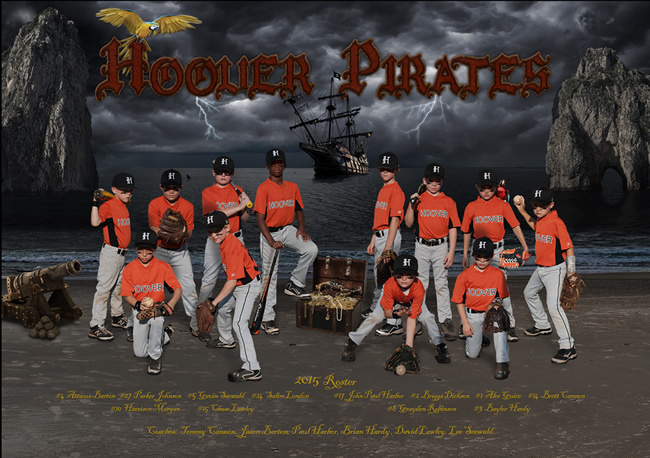 The SMP All Stars got a new name in 2015: the Hoover pirates. This photo composite poster played heavily on the the pirate theme with parrots, a pirate ship and a chest full of bootie! 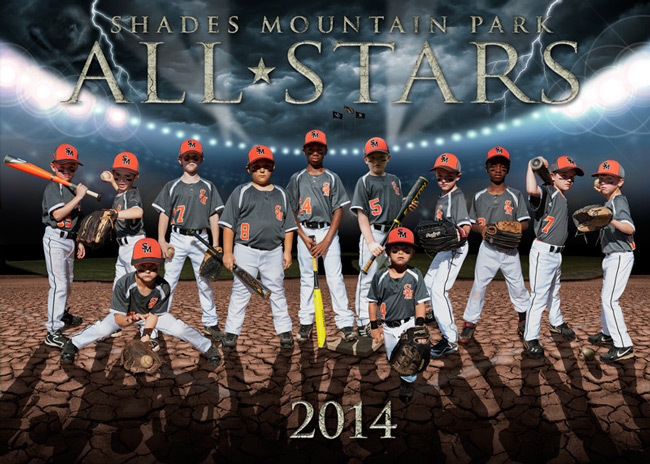 This poster was designed to strike fear in the hearts of this seven-year-old baseball team’s opponents. It must have worked because they went undefeated and won their metro championship! Band director and clinician Valerie Morgan presented a Middle School Rehearsal Lab at the prestigious 2014 Midwest Band Clinic in Chicago. Well over 400 attendees enjoyed this entertaining and informative program that took a new twist on New Year’s Resolutions. 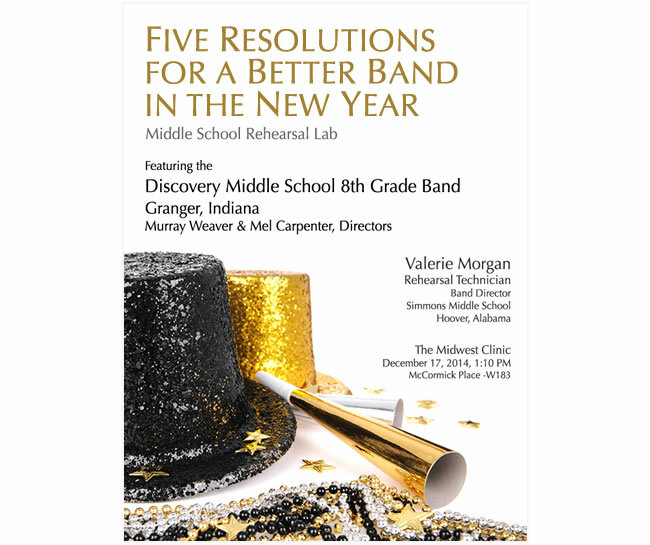 Each commonly made resolution was repurposed towards improving musical performance skills, repertoire selection and building best practices in the rehearsal setting.